Twitter went absolutely insane after Lisa Howard sang her big It Shoulda Been You song “Jenny's Blues” at the 69th Annual Tony Awards. It was a breakout performance on Broadway’s biggest night, and a Tony number theatre fans will watch for years to come (a la Melba Moore in Purlie or Alice & Emily in Side Show). Below, the leading lady talks about her Tony night experience, why she had to tell this story on stage and how bizarre filming Twilight: Breaking Dawn was. 1. We have to start with that epic Tony performance. Have you watched it yet? Why not? What are you waiting for?! I don’t know. I’ve seen bits and pieces people have put online. I’m just waiting. I think I just want the experience to be what it was from my point of view. Being in that house is so vast and there’s a sea of people in front of you and you feel their energy. It was amazing, and for a while I just want that to be in my mind. 2. You’ve been attached to It Shoulda Been You for years; what made you believe in it? Why did you have to be the one to tell this story? I love Brian’s writing. I think he’s very smart and very funny, and I loved the story. It’s not just funny, it has something to say. There’s a message, and there’s more than one message for everybody. It’s about coming into your own and owning who you are and what you are and being happy with yourself. I just think it has a lot stuff to say. It’s always been a project in the back of my mind. As soon as I did the first reading years and years and years ago I said, ‘this has to come’ and I’ve been biding my time waiting and it did. It’s one of those parts that you think I have to play this at some point. 3. You made your film debut as Siobhan in the final Twilight movie Breaking Down Part 2. What’s your best story from the set of Twilight? It was my first feature film experience so just being there in that world with these super, mega-famous stars was kind of bizarre. And we were filming down in Baton Rouge and we spent the most time on this field of fake snow in a live stock arena. We were literally in an arena that was meant for live stock auction. We just spent hours and hours and hours in this white field surrounded by this enormous green screen and feeling a little like live stock. 4. What’s a movie you love so much you know every word? Poltergeist. It was one of my favorites from when I was young. I loved it, loved it, loved it. 5. At what moment did you know your voice was special and that most other people didn’t sing like you could? “Christmas Is A Feeling.” I could sing it for you. 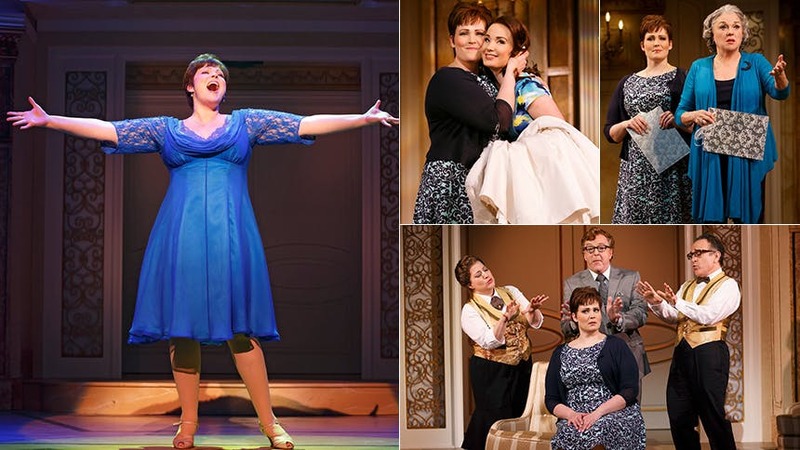 Get yourself over to Broadway's Brooks Atkinson Theatre now to see Lisa Howard bring the house down in 'It Shoulda Been You'.